Today is International Women’s Day, a global day celebrating everything women offer and achieve, both on a social, economic, cultural, political and personal way! This year specifically marks a call to action for accelerated gender balance #balanceforbetter - if you better the balance, you better the world. You may not know this but I had a 10-year career in marketing on Wall Street at Bear Stearns (RIP) starting in 1987 when things were quite different for women. It was a tough environment then - I could write an entire book on my experience working with some of the most powerful men in New York. After having my two children, I later decided to follow my passion and embarked on a career in journalism. Soon after, I founded the lifestyle websites AskMelissa and then PageDaily. That lead to becoming a lifestyle expert and contributing editor to many TV news shows, Huffpo and several magazines. Flash forward to my move to LA six years ago where I started my own style, beauty and wellness blog now known as The Glow Girl. I am now happy to say that I work alongside incredible and inspirational women on a daily basis. Without these women supporting me and cheering from the side lines, I wouldn’t be where I am today. I want to celebrate this and some of the women who inspire me. In light of a more holistic direction I am planning for 2019, today also marks the launch of a new female partnership series on The Glow Girl blog. One which celebrates women and invites them as a guest feature every month. Bringing their unique knowledge to The Glow Girl audience, I am honored to collaborate with some of these women who bring me joy, support and inspiration on a daily basis through what they do but most importantly who they are. I am proud to introduce all of these incredible women living their best life, glowing from the inside out, making a positive difference for other women in the world and in partnering together we are immeasurably stronger. What is a GLOW GIRL? Janet Gunn and I always know how to have fun when shooting for LA fashion designer Franne Golde! Holistic Nutritionist and Lifestyle cleanse expert, Elissa Goodman is on a mission to educate and encourage healthy, mindful living. 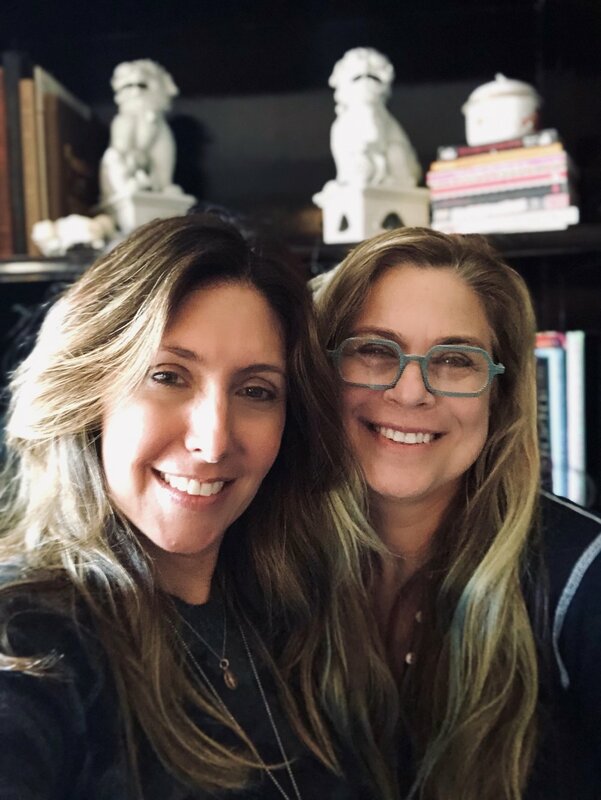 Helping others to embrace the concept that we are a product of what we eat and how we treat ourselves, Elissa’s wealth of knowledge on nutrition and cleansing developed from personal experience. 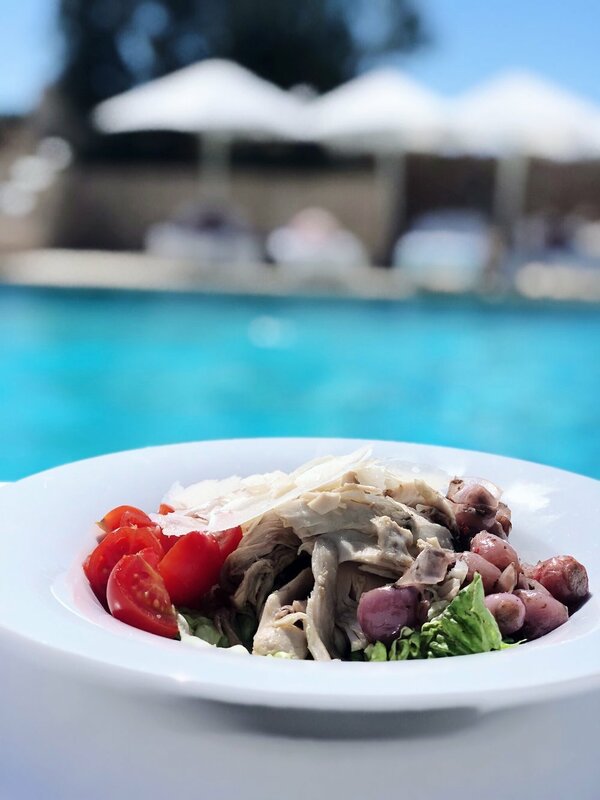 Having experienced corporate burnout, personal run-ins with cancer and then sadly losing her husband at the young age of 45 after an 18-month battle with cancer, Elissa saw first hand that food was the root of many problems--and also that food could be the solution to those problems. Elissa’s feels that no matter what your story or history, you can cleanse your body through nutrition to lead a happier and healthier life. 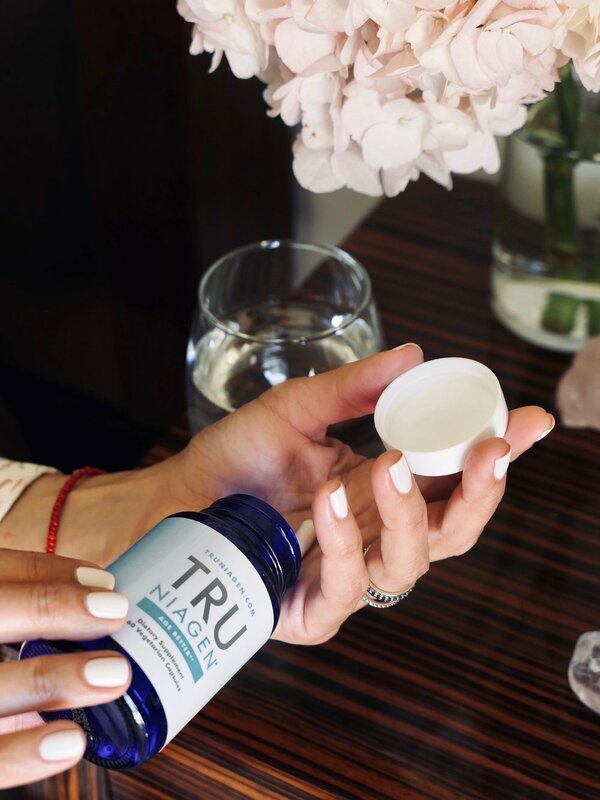 She offers cleansing programs like The S.O.U.P Cleanse and 7-day reset program and she is committed wholeheartedly to helping people experience the joy found in good health. Elissa’s wildly popular cleanses are now available outside of LA and ship throughout the US. Her book, Cancer Hacks is a comprehensive plan that offers natural and holistic advice to deal with the fear and uncertainty so many people face when confronted with this terrible disease. 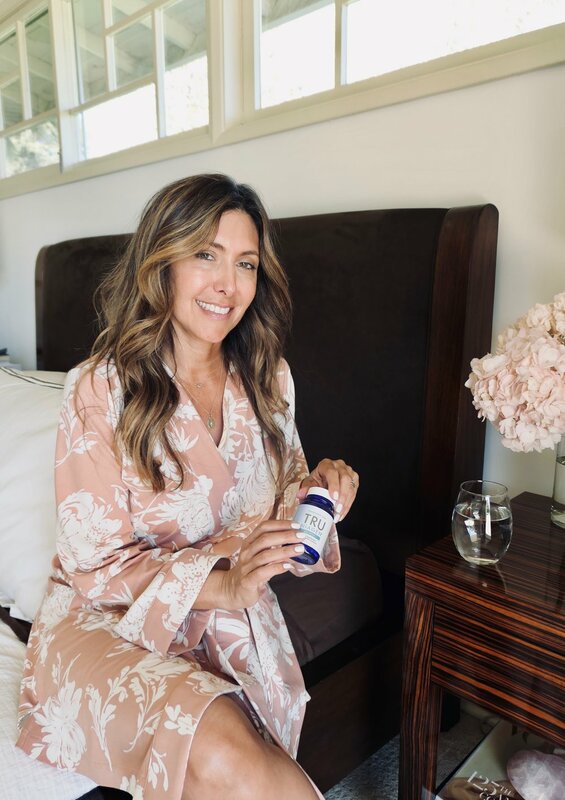 Texas girl and former Dallas Cowboys cheerleader, flight attendant, American actress, jewelry designer and now LA lifestyle influencer, Janet is one of the most talented bloggers in the 40+ lifestyle space. She started her blog from a place of gratitude and shares her every day tips and tricks on how to lead a more fulfilled, beautiful life. 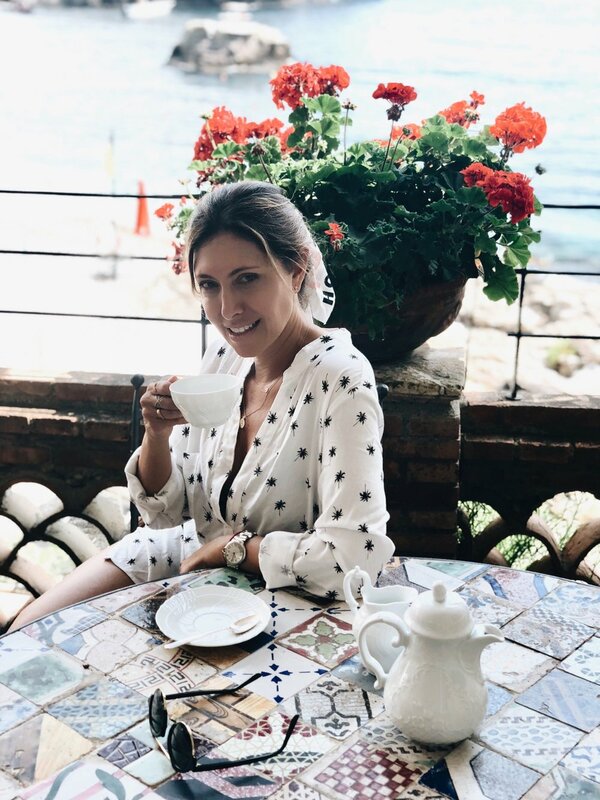 She also creates the most gorgeous style, beauty, and travel content through her Instagram, stories, articles and videos that help women to enrich their everyday lives. I adore her aesthetic and impeccable taste plus she does everything with grace and style. Janet also works regularly with Focus TV and partners with several of the brands she loves. We met at a charity lunch three years ago and have been working together and partnering on projects ever since! Janet takes time each day to get in touch with everything around her and finds a mantra that allows her to connect with abundance. She shows us that by making this connection with the universe, your positive affirmations start to play out. Follow Janet’s blog, The Grateful Gardenia for encouragement on feeling alive, inspired and empowered, whatever your age. *Information from Janet’s #mantramonday newsletter will be shared with you monthly. You can also subscribe to her newsletter here. Feel Janet’s infectious personality through her blog www.gratefulgardenia.com. The joy of laughing with Lauren Roxburgh following one of her GOOP workout events! Celebrating achievement with Suze Yalof at her book launch party! Body Alignment Expert, Lauren Roxburgh is all about aligning your mind, body and spirit while boosting your metabolism, releasing stress, regulating your hormones, helping you breathe better, look better and feel more youthful. Lauren’s philosophy will rejuvenate your body and spirit. She is one of the most inspirational health and wellness leaders in the space. Founder of BeAligned, creator of Lo Rox Aligned Rollers, fascia and movement healer Lauren has worked with some of the world’s top athletes and celebrities. She developed a method to improve posture and strengthen the core and intrinsic muscles, increasing connectivity and flexibility all of which help to find a healthier, happier stance in our bodies and lives. 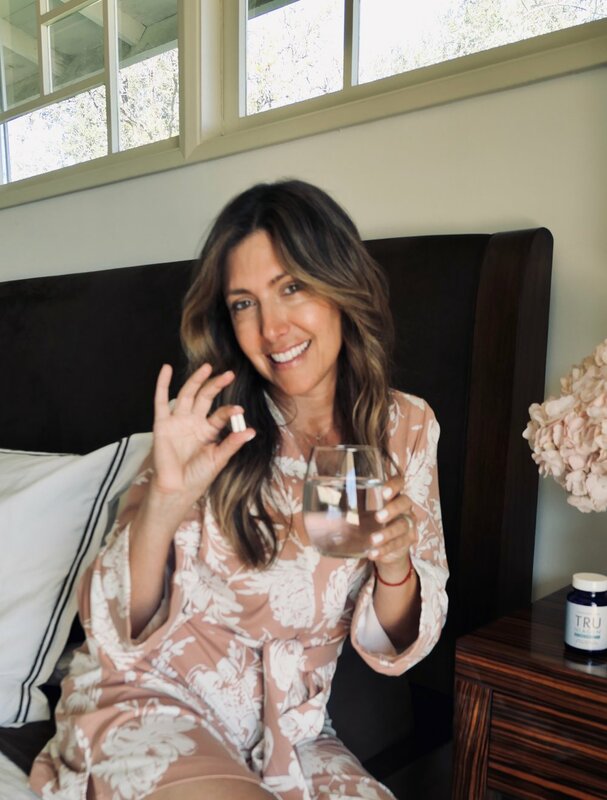 Dubbed as the “The Body Whisperer” by Gwyneth Paltrow’s GOOP, Lauren has also be named on of the W20 Top 20 Wellness Warriors to watch by Mind Body Green. I took one of her classes at a GOOP event a few months ago and immediately felt inspired by her energy and knowledge of all things wellness. She delivers her information and tips in an approachable manner. Lauren certainly inspires me to obtain true well being from the inside out. If you want to join one of Lauren’s 10 week transformation programs or read her books, Taller, Slimmer, Younger and The Power Source, check out her website at www.laurenroxburgh.com. You can also buy the LoRox Aligned foam roller here. More from Lauren on The Glow Girl coming soon! 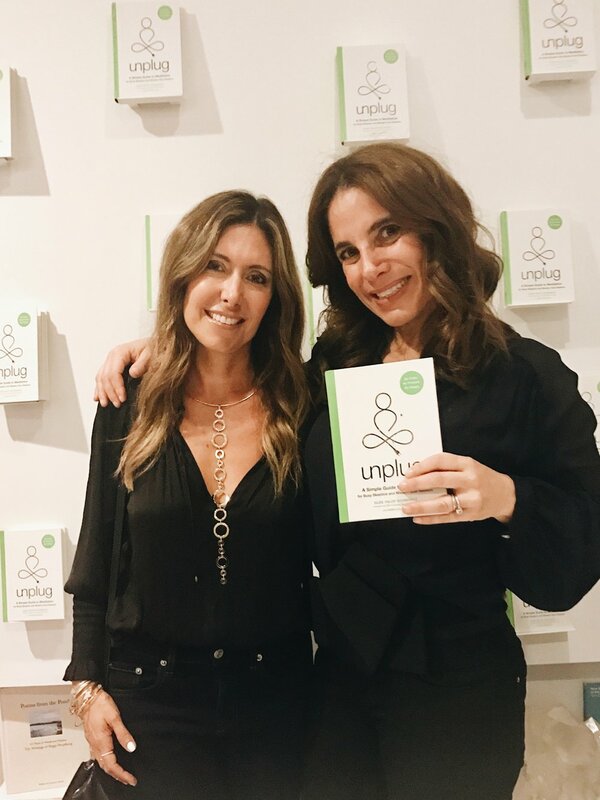 Suze Yalof Schwartz is the CEO and Founder of Unplug Meditation, the author of Unplug: A Simple Guide To Meditation for Busy Skeptics and Modern Soul Seekers, and the creator of the Unplug Meditation App. I knew Suze from when we lived in NY and she was the Editor at Large for Glamour.com back in the day and hitting all the shows at New York fashion week. Suze worked in a high pressured role as fashion editor, and “makeover guru” for Vogue, Elle, Marie Claire and Glamour Magazine with regular national television appearances on GMA, The Today Show and CBS Early Show as a style expert. When she realized that meditation needed a makeover, she came up with the concept of the Drybar of meditation - Hello Unplug! What changed Suze’s life forever was a three minute meditation. Now a full convert, her mission is to make it simple, powerful and interesting enough that everyone will want to practice and experience the benefits for themselves. Suze’s in depth knowledge has come from hundreds of hours of classes and courses, reading every book possible, and listening to podcasts, lectures, and more from the world’s most famous meditation teachers. Unplug is the world's first drop-in, secular meditation studio that offers classes and private sessions where you leave feeling present, happier and more focused. I’m awe of how Suze is using decades of hard work and personal experience to filtrate more awareness in lives of others. For more information on Unplug visit www.unplug.com or download the Unplug app for daily mediations. *Mediation tips and tricks from Suze to look forward to on The Glow Girl blog coming soon! Former movie director, award winning writer of Feng Shui Luck, Anita Rosenberg is the ‘go-to expert’ in Los Angeles, Aspen, India, Panama and Vietnam for Feng Shui & BaZi Chinese Astrology. She helps people reach their wealth potential, improve their businesses and enrich personal relationships. Working with notable clients including Miranda Kerr, Virginia Madsen, Jennifer Aniston, Gwyneth Paltrow and many fortune 500 CEO’s. Anita’s unique blend of Western and Chinese Metaphysics along with a vast knowledge of many spiritual modalities, from tarot to kabbalah, crystals and wicca allows her to transform and illuminate homes, businesses and lives. I had the privilege to work with Anita recently and experienced the true power of intention of wellness she manifests. Anita provided me with an extensive review including a 15 page report of my personality and what I need to do to break bad habits and patterns, and to manifest the changes I am looking to achieve. *Anita will be offering tips and some of her magic on the The Glow Girl blog monthly! For more information on Anita and her services, check out her website www.anitarosenberg. I am excited to introduce you to these women and look forward to sharing the collaborations coming soon to the blog. I am a true cheerleader for celebrating women and if you think globally, act locally and collaborate with unbelievable women around, we can change the world. Hop over to my Instagram and tag a friend in today’s post who empowers and inspires you. As I enter a new focus in 2019, there’s never been a more exciting time to remind women everywhere to be connected, fearless, brave and find the confidence within them to discover their dreams. Thank you for reading and Happy International Women’s Day! P.S. I also want to mention that Credo, my favorite boutique for clean beauty, is proud to donate 20% of all proceeds to Lipstick Angels, an organization Credo donates 1% to daily that empowers and boost confidence in women undergoing Chemo treatments through in-hospital beauty services. Credo and Lipstick Angels believe that upholding the human dignity and self-respect of a patient is crucial to each individual's successful encounter and defeat of a chronic disease like cancer. PLUS did you know the clean beauty industry is the ONLY industry that is being dominated by women. Credo is proud to celebrate 90% their brands have a female founder/CEO – not to mention, Credo’s HQ is all female. Did you know you can shop some of my looks in the post that are now on sale at Shopbop? Yes please!